Ferrari and Mercedes Benz cars are the most-expensive automobiles sold at top classic car auctions but many marques achieve prices over a million dollars. Classic and rare exotic cars trade at multi-million dollar prices. Privately, Ferraris are rumored to have sold for over $70 million, but public auctions remain the best indicator of what these rare cars are worth. A 1962 Ferrari 250 GTO is the most-expensive car ever sold at public auction followed by another 1962-3 Ferrari 250 GTO – the only two 250 GTOs offered a public auction for about a decade. Ferraris are over represented on lists of the most-expensive cars in the world but even marques that usually see cars trading for much lower figures may see the best-of-marque samples sell for well over a million. The highest price ever paid at public auction for a car is $48,405,000 for a 1962 Ferrari 250 GTO at the RM Sotheby’s Monterey 2018 sale. 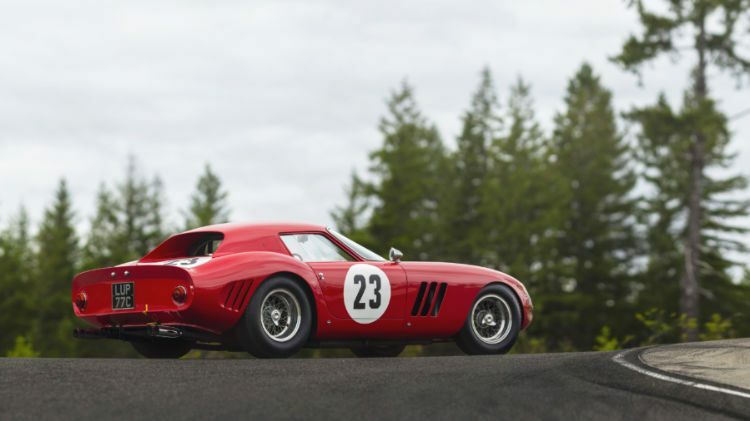 This increased the world record auction price for a car from the $38,115,000 paid for a 1962-63 Ferrari 250 GTO at the Bonhams Quail Lodge Sale during the 2014 Monterey classic car week. The third most-expensive car ever in dollar terms was the 1957 Ferrari 335 Sport sold for $35,711,359 at the Artcurial Paris Rétromobile 2016 sale. It is the highest price paid for a car at a public auction held outside the USA. The highest price ever paid at public auction for a purely road-going car is $ 27,500,000 for a 1967 Ferrari 275 GTB/4*S N.A.R.T. Spider by Scaglietti. This result was achieved at the RM Auctions sale in Monterey in 2013. The record prices for a new car sold at public auction are $10,000,000 for the 210th 2017 Ferrari LaFerrari Aperta and $7,000,000 for the 500th Ferrari LaFerrari. Both cars were sold in RM Sotheby’s auctions after being donated by Ferrari for charity. 1954 Mercedes-Benz W196R Formula-1 Racing Car © Bonhams. 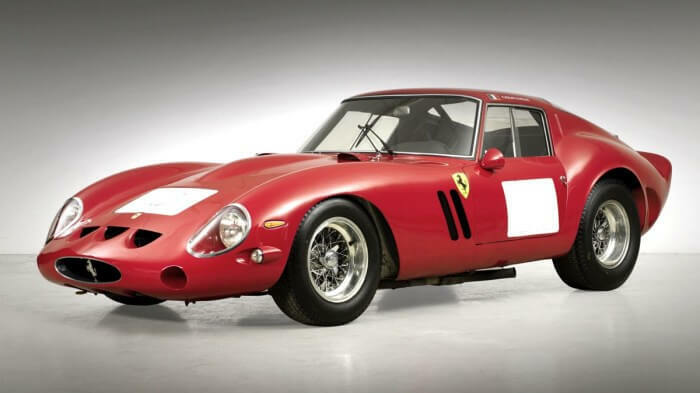 2018: $48,405,000 for a 1962 Ferrari 250 GTO – See Top 10 for 2018. 2017: $22,550,000 for a 1956 Aston Martin DBR1 – see Top 10 for 2017. 2016: $35,711,359 for a 1957 Ferrari 335 Sport – see Top 10 for 2016. 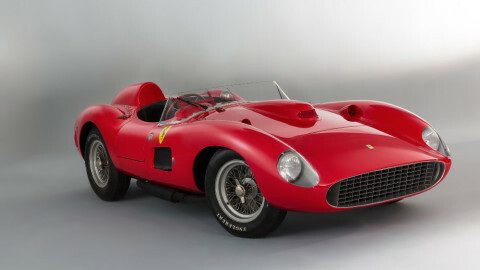 2015: $28,050,000 for a 1956 Ferrari 290 MM – see Top 10 for 2015. 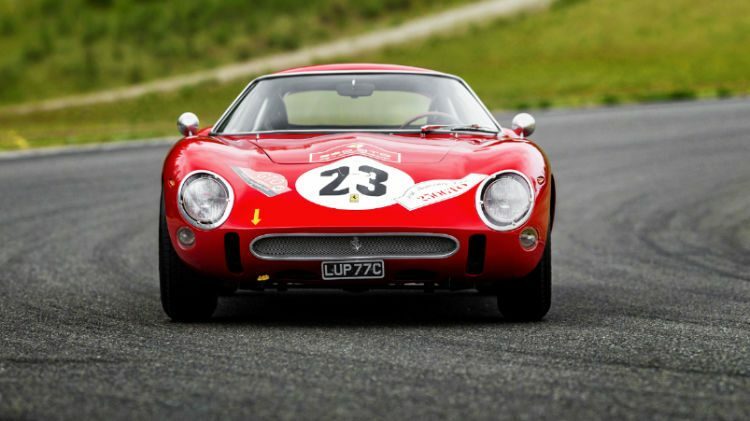 2014: $38,115,000 for a 1962-63 Ferrari 250 GTO – see Top 10 for 2014. 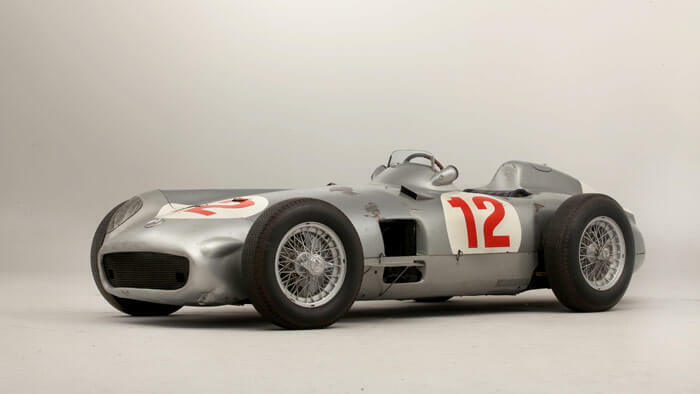 2013: $29,650,095 for a 1954 Mercedes Benz W196R Formula 1 – see Top 10 for 2013. 2012: $11,770,000 for a 1936 Mercedes Benz 540 K Spezial Roadster – see Top 10 for 2012. 2011: £16,390,000 for a 1957 Ferrari 250 Testa Rossa – see Top 10 for 2011. Since 2000, the most-expensive car of the year has always been either a Mercedes Benz (4 times), Aston Martin (once) or a Ferrari. See Wikipedia for a detailed list (not always up to date) with adjusted prices. The following are the top prices ever paid at public auction for classic cars of various marques. For Ferrari and Mercedes the top prices for both the most-expensive road and racing cars are given, as well as the GTO homologation special for Ferrari. All prices are nominal – i.e. prices paid at time of auction and including premiums. Non US dollar transactions converted to $ at time of sale.